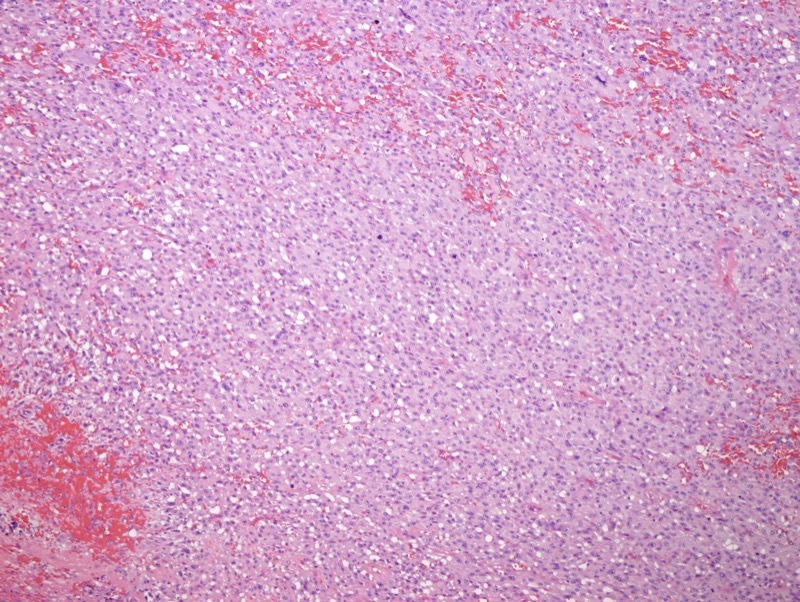 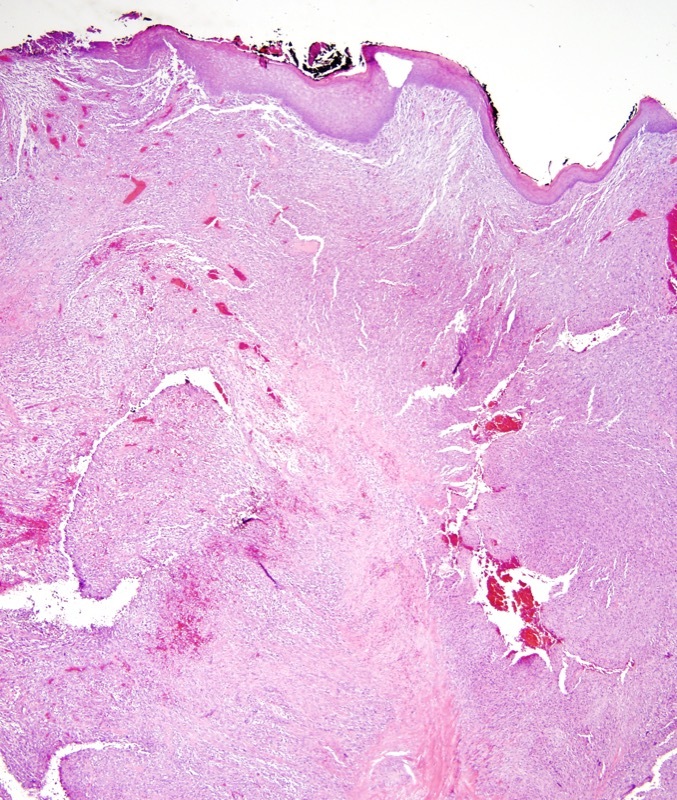 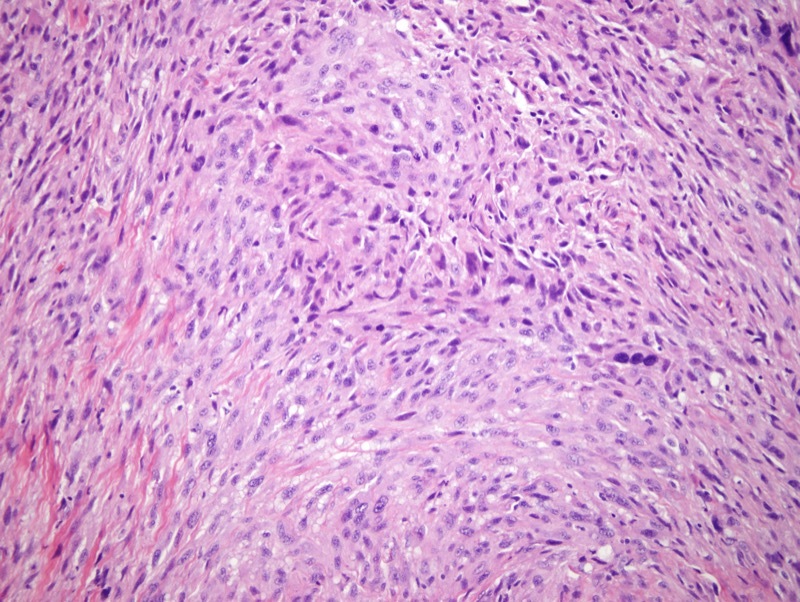 Pleomorphic sarcoma of the skin typically affects elderly patients where it presents as a nodule on the scalp/head and neck region or the extremities. 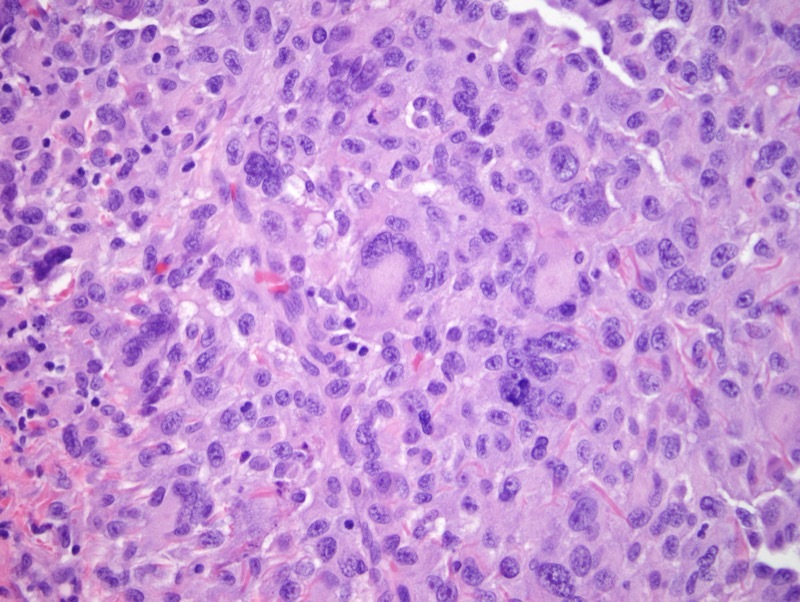 As the name implies, most tumors exhibit cells with significant pleomorphism and infiltrative growth with frequent extension into subcutaneous tissues. 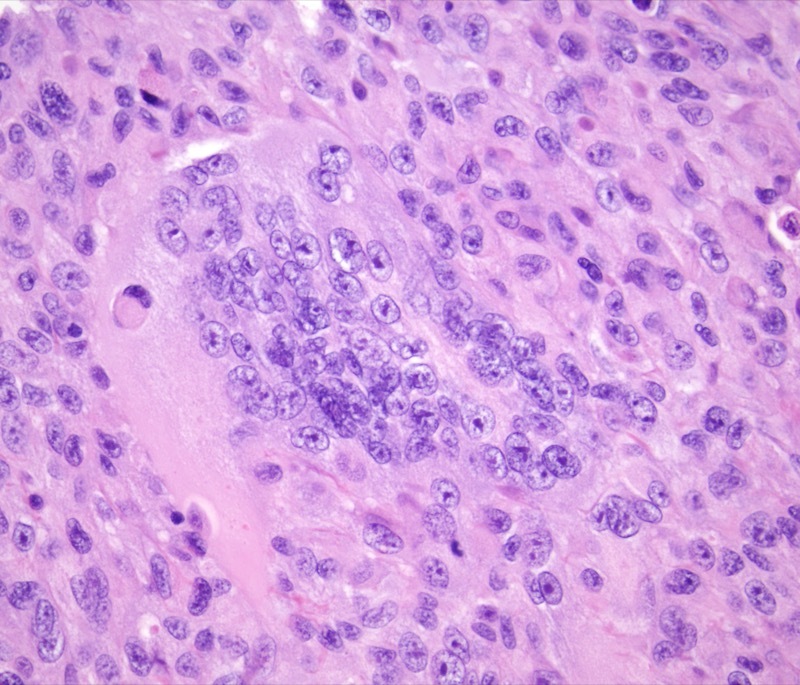 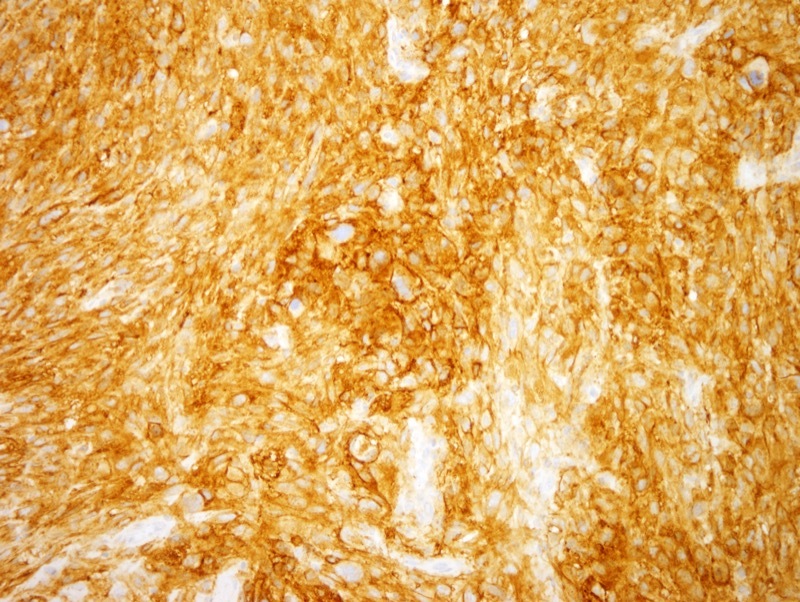 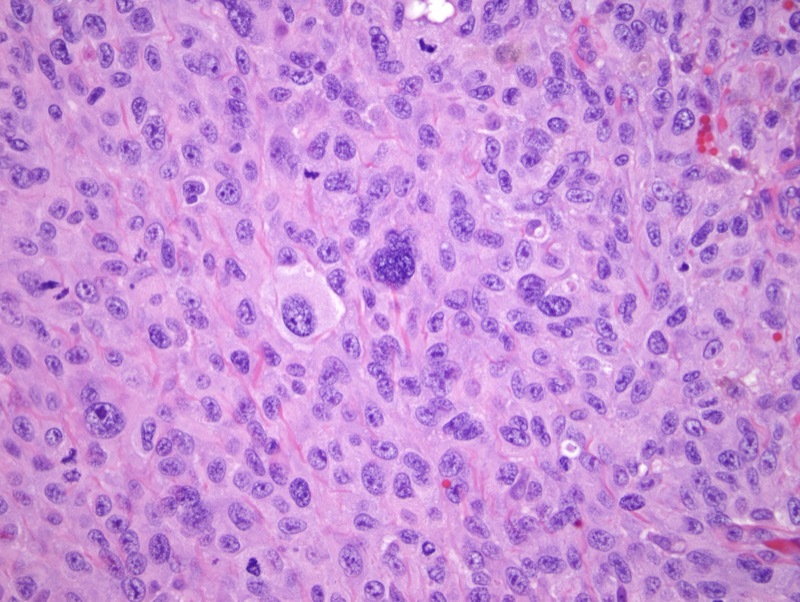 Nuclei show marked atypia and variation in size and shape. 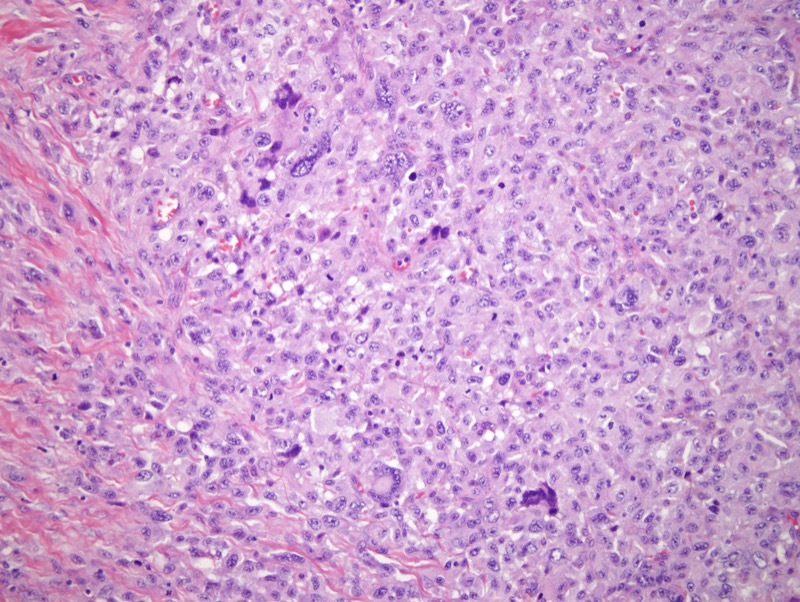 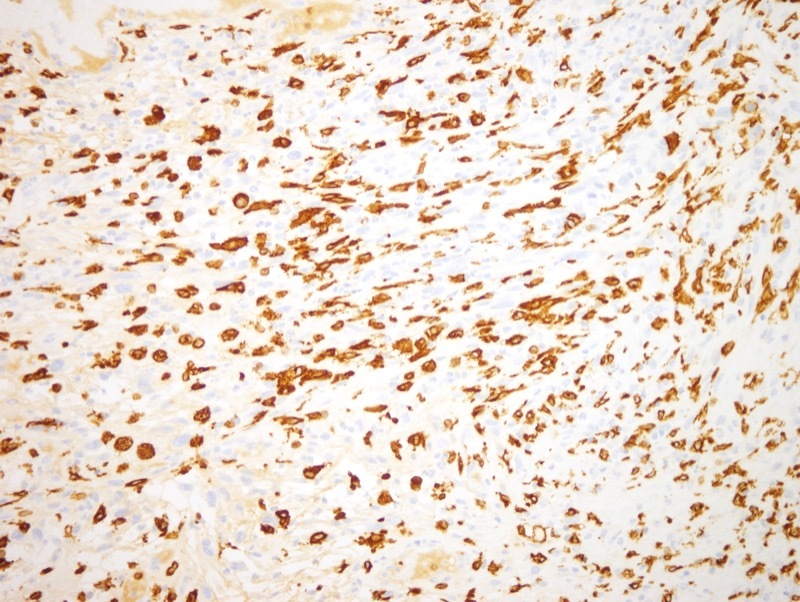 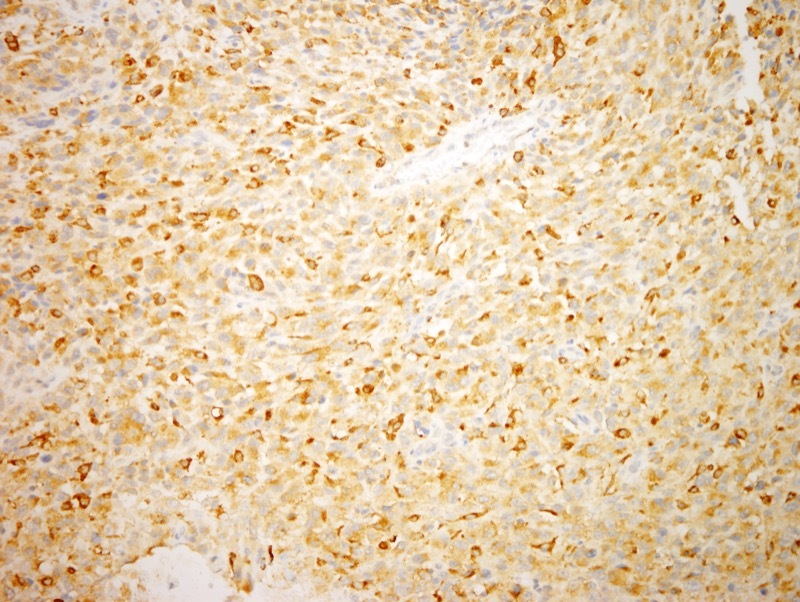 Entities that need to be excluded include melanoma, other sarcomas (leiomyosarcoma), poorly differentiated carcinomas with sarcomatoid growth pattern and atypical fibroxanthoma.